Each year that I garden and buy more and more local meat and dairy the more I get interested in sustainable farming and urban homesteading. As my seeds are growing, I think how great it would be to be able to grow my own produce to eat fresh and then preserve and freeze what I can to carry my family through the winter without having to buy produce that’s out of season and shipped from all over the country. I’m currently reading through a great book called, “Animal, Vegetable, Miracle, A Year of Food Life” by Barbara Kingsolver. The author and her family abandoned the industrial food pipeline to live a rural life – vowing that, for one year, they’d only buy food raised in their own neighborhood, grow it themselves, or learn to live without it. I’m not sure I’m ready to go to this extreme, yet, but I am doing my best to grow what I can, raise what I can and most importantly buy local. It’s shameful to learn about our country and the harsh realization that our farmlands are nothing but commodity fields filled with corn and soybeans which are making our country morbidly obese as they are used to make high fructose corn syrup, hydrogenated oils and thousands of other starch or oil based chemicals. These fields are seeded with genetically modified seeds by Monsanto, Syngena, DuPont, Misui, Aventis, and Dow. They’re sprayed with pesticides and fertilizers erroding our soils. An article on Monsanto’s use of GM seeds and Roundup, Monsanto’s Roundup Residues in GM Food Cause Cell Damage. I havn’t even touched on what our food system is doing in terms of fossil fuels and how much oil is being consumed by the hundreds of miles our food is delivered. On the upside, the local foods movement is growing. People are being more aware about what they’re eating. Celebrity chefs such as Rachael Ray and Rick Bayless are educating the public on what it means to buy local. Rachael Ray, a huge advocate of farmers markets and Rick Bayless’s famous Frontera Grill Restaurant in Chicago is known for only buying fresh produce and meats from local farmers. As promised here is a list of resources to buy local produce, eggs, meat and dairy. http://www.localharvest.org – This will give you a list of local farmers and CSA in your area. What is a CSA – Over the last 20 years, Community Supported Agriculture (CSA) has become a popular way for consumers to buy local, seasonal food directly from a farmer. Here are the basics: a farmer offers a certain number of “shares” to the public. Typically the share consists of a box of vegetables, but other farm products may be included. Interested consumers purchase a share (aka a “membership” or a “subscription”) and in return receive a box (bag, basket) of seasonal produce each week throughout the farming season. 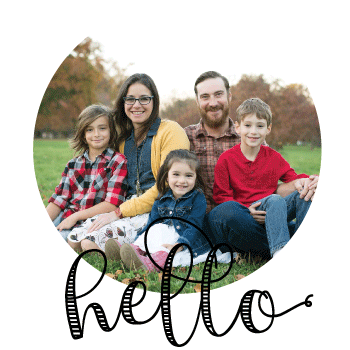 Picket Fence Creamery – Hormone Free, Antibiotic Free Milk. Located in Woodward Iowa. You can visit their creamery and see the cows where your milk is coming from!! FANTASTIC!! Sold at Grimes Fareway, Gateway Market and at the creamery. Coyote Run Farm – Hormone-Free Beef, Pasture Poultry and Eggs, Chemical-Free Produce and Flowers. I buy my eggs from Coyote Run Farm. They are great, orange yolk, YUMMM!! Matt and Patrick sell at the Downtown Farmers market and do deliver to Des Moines, once a week during the winter!! Harvest Barn Marketplace – Hormone Free, Antibiotic Free Beef and Pork. They are AWESOME!! Amy and her husband are such great people!! They also sell at the Des Moines Farmers Market and deliver to Des Moines once a month. Gateway Natural Meats – Natural and organic products: beef, pork, chicken, eggs, milk, cheese and lamb. Azure Standard – Delivers once a month to a location in Des Moines. Must join a group. Call for details. United Buying Clubs – Delivers every other month to a location in Des Moines. Must join a group. Love your blog! I am excited that others have discovered great local food in Iowa!